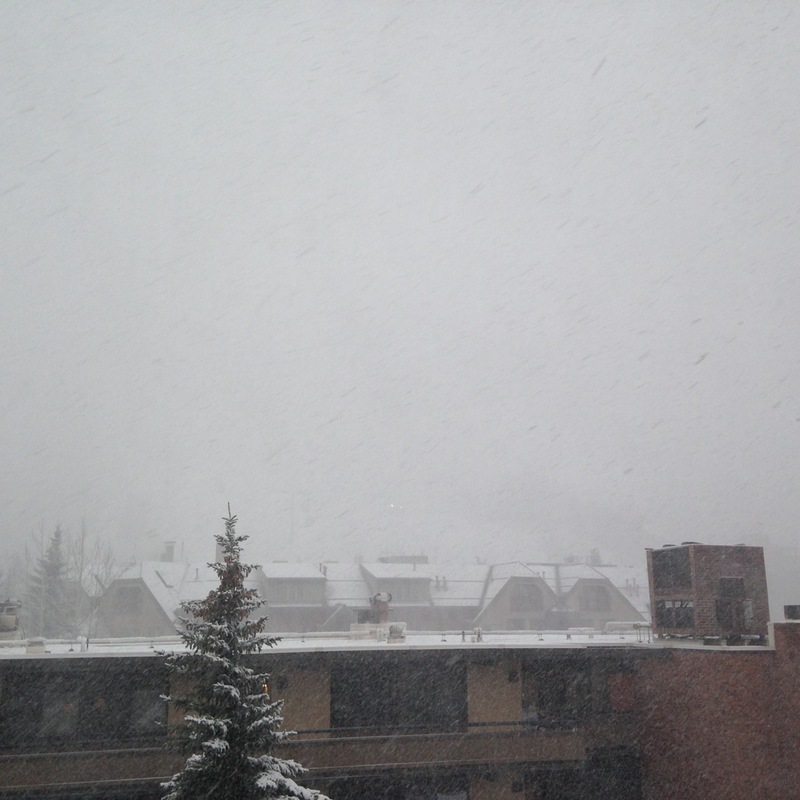 Tuesday revealed 6″ on the ground overnight at Snowmass. Wednesday we woke to near blizzard conditions. The snow report was 2″, but there was clearly more in store for the day. 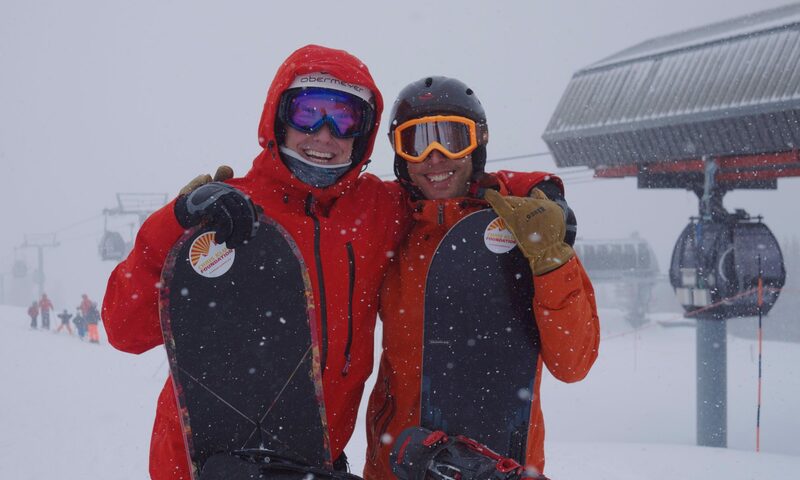 I had emailed Chris Klug earlier in the week, and he made some free time to come out snowboarding in the morning! Matching CKF sticker placement was not planned. It was a thrilling experience. He’s an epic snowboarder and still had fast wax on his snowboard from winning a banked slalom event the previous weekend. And he’s in great shape. He commented on his CrossFit training and legs being sore, but I saw no evidence during the runs. I chased him as best as possible around the mountain – he led us down some of the best bumped trails and didn’t slow down at all. I did my best to keep up, huffing and puffing and soaking in the experience. Some turns were epic, some were a little sketchy and icy. It didn’t matter – we were both charging down the mountain and enjoying every turn. We did a total of 3 top to bottom runs, 3267′ vertical each, in what seemed like record time. It’s a good thing he had to take off at lunchtime, so my legs could rest. Here are some other pretty snow pictures from Tuesday and Wednesday! Logan’s view from the restaurant at the top of Ajax. The clouds cleared after a snowy day. Somehow this photo looks like a painting, but that’s just the scratched up gondola. Those little specks are skiers. Gondola trip through the clouds. The family that texts together, stays together. Just a movie theater…we think. Derek and Chris – Real deal duo. Breathtaking! Congrats to both.